As the neighboring beach of La Arena, El Pozo Beach has a beautiful 300 meter coastline. Bathing and relaxing here is a balm of serenity and an infallible remedy for those suffering from stress. Just pure luxury. The phenomenon of Playa Quemada is quite bizarre. It is a very privileged area and is almost always clear, permanently without wind and has some spectacular coves. 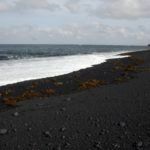 Yet these beaches of black sand are never crowded. The only downfall of El Pozo is its access. It can only be reached by car, preferably a 4×4 and then a small hike is required. 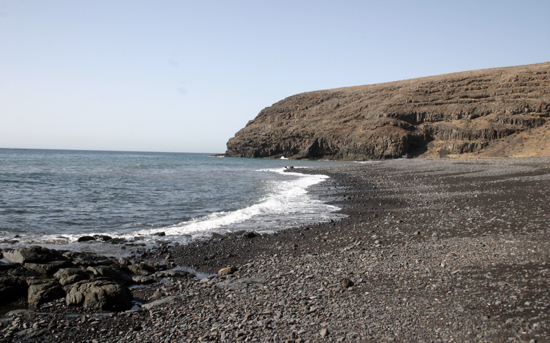 Your vehicle is to be left at the most southern point of Playa Quemada. This is reached by following a marked route that takes you to the foot of the beach. It is important that you remain on the zigzag path and that you avoid the temptation of jumping from one path to the other thinking that you will arrive quicker. (In the end you will waste more time and most importantly your safety will become in danger). This path is the heart of the Natural Monument of Los Ajaches and most of the time respects traditional paths used for grazing goats in Femés. During the half an hour drive you can really take advantage of some truly breathtaking views. 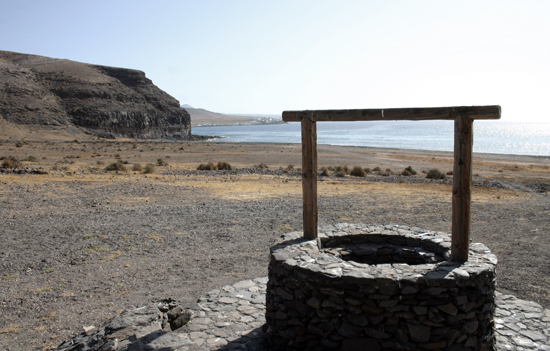 The first one that you will come across when beginning your route looks back at the pretty picture of Playa Quemada. Its ancient and messy urban settings ironically give it a particular charm with boats stranded on the shore. In the middle, on a clear day and looking south we can appreciate the figure of the dunes of Corralejo (on the neighboring island of Fuerteventura) and the ever intriguing island of Lobos. 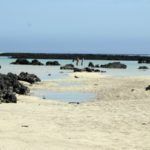 Certainly, adventurers and nature lovers have the perfect opportunity to bathe in El Pozo Beach, however beforehand must cross the path of Ajaches Femés-Playa Quemada. Upon reaching the beach the limited space seems huge thanks to the huge panoramic view of the deserts horizon at sea. The water nearly always is christal clear and the sea calm. 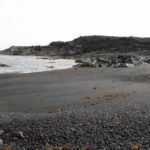 When entering the tide, depending on the area, you will come across the presence of some pebbles on the shore. It is possible to enter barefooted however, it is recommended to use jellybean shoes or something similar to help avoid discomforts. Due to the preliminary and permanent heat which can be sometimes suffocating in this part of the south of Lanzarote it is required to be well equipped with plenty of water to avoid dehydration. 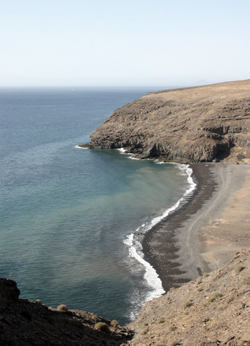 An isolated and peaceful cove of Playa Quemada located in the southeast of Lanzarote. 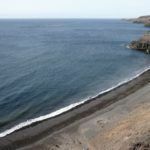 How to get there: By foot from Playa Quemada. 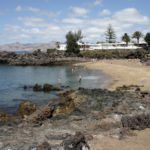 An ideal tourist route for bathers on the south coast of Lanzarote, close enough to allow you the opportunity to visit Timanfaya. 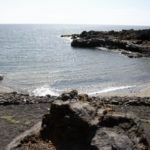 If you like some adventure and activity, we recommend that you combine the pleasure of taking a bath in El Pozo Beach with the prior hiking tour between Femes and Playa Quemada. Just click here for the complete route.